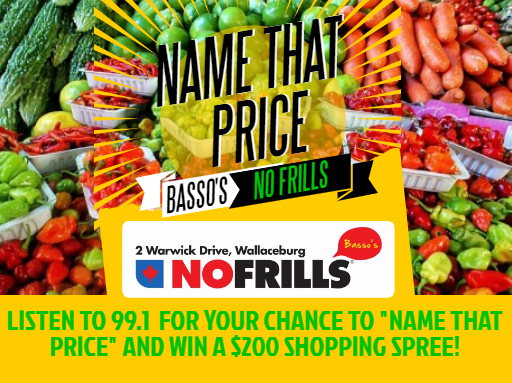 All this week, 99.1 asks you to NAME THAT PRICE with BASSO’S NO FRILLS in Wallaceburg. We will give you three different items each day – you NAME THAT PRICE for a chance to win a $200 shopping spree! TEXT US your answer on the 99.1 textline – 519-437-9991. Remember to text us your price AND your name. If you guess the EXACT price or are the closest to the price WITHOUT GOING OVER, you win FOUR ballots in the shopping spree contest. All guesses that don’t go over, receive ONE ballot. If your guess is OVER, it doesn’t count. 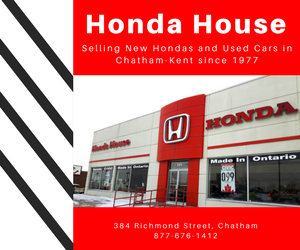 One grand prize winner will be drawn on Friday morning – and will join us for a $200 shopping spree at BASSO’S NO FRILLS – 2 Warwick Drive, Wallaceburg.